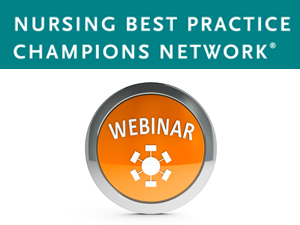 How Can the Implementation of RNAO’s Best Practice Guidelines Result in Quality Improvement? Excellence in community health practice requires consistent application of evidence to improve outcomes. Toronto Public Health (TPH), who is a designated Best Practice Spotlight Organization (BPSO®), demonstrates innovative leadership to support evidence-informed practice. A cadre of Champions was trained to implement and evaluate evidence. These Champions were supported to become leaders in their field. Innovative strategies were also used to build evaluation capacity and, leverage resources for sustainability. A performance management framework was used to systematically evaluate the impact of best practice guideline (BPG) implementation and, identify areas for improvement. Overall, the experience of being a BPSO® designate has been very positive and, enabled collaboration and evidence-informed practice. The BPSO® initiative ensured the systematic integration of evidence in the organization and, ultimately improved the health of Toronto's diverse population.